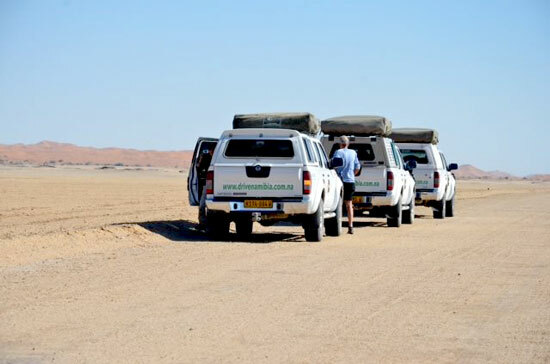 We know that a self-drive camping trip is the best way to experience and see all that Namibia has to offer. It brings you closer to the rhythm of nature and allows you to completely forget about your usual way of life. It brings a spirit of adventure and the ability to share stories around a camp-fire under the African skies – indeed a spectacular way to holiday. Being avid campers ourselves, we can offer lots of advice on camping, so do not hesitate to ask us about it. Our camping 4x4 vehicles are equipped for two or four persons. A vehicle for 2 persons will carry one roof tent or you can opt for an igloo tent if you prefer to remain closer to the ground. A camping vehicle for four persons will carry 2 roof tents or you can once again opt for igloo tents – especially if you have young children. Namibian campsites are quite safe for the use of igloo tents that are manufactured from high quality rip-stop material. The camping vehicles are equipped with the list of equipment as below. When you request a quotation, you will find vehicles that are equipped or not. Additional camping equipment as well as GPS and mobile phones can be ordered with the Additional Camping Equipment List that we will forward on request. Namibia is a camper's paradise with an immense number of community, government as well as private camps to choose from. 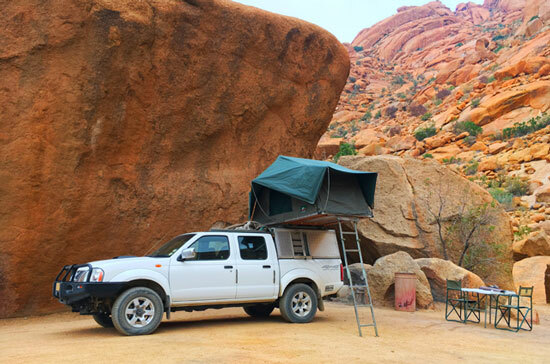 Camping remains the best way to see Namibia's spectacular natural beauty and our fully equipped camping vehicles allow you to do just that. 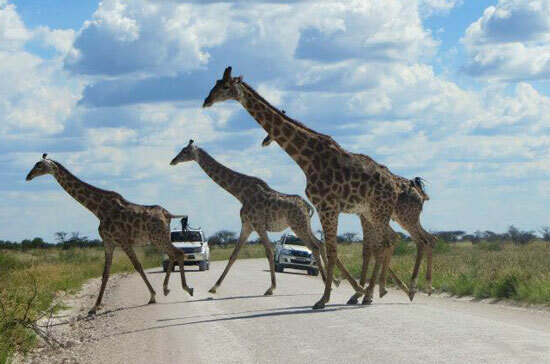 For self-drive tours, we also offer customised tour itineraries and bookings. Recovery kit with jumper cables, Tyre pump, Towing rope, Tyre pressure gauge, Windhoek street map, Country map, Jack, Wooden block for jack, Vehicle tools and spade. Please select your tent type when you request a quote for a camping equipped vehicle. Items above come as standard equipment as required by you to go camping. Additional items can be ordered from the Additional Items list - please request. Duvet plus duvet cover or sleeping bags.